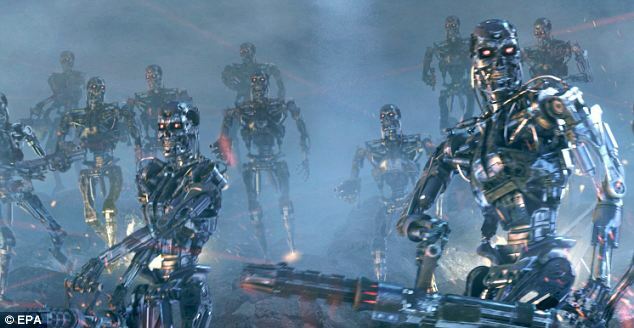 Fully autonomous robots that decide for themselves when to kill could be developed within 20 to 30 years, or ‘even sooner’, a report has warned. Militaries across the world are said to be ‘very excited’ about machines that could deployed alone in battle, sparing human troops from dangerous situations. The U.S. is leading development in such ‘killer robots’, notably unmanned drones often used to attack suspected militants in Pakistan, Yemen and elsewhere. Drones are remotely controlled by human operators and unable to kill without authorisation, but weapons systems that require little human intervention already exist. Raytheon’s Phalanx gun system, deployed on U.S. Navy ships, can search for enemy fire and destroy incoming projectiles by itself. The Northrop Grumman X47B is a plane-sized drone able to take off and land on aircraft carriers, carry out air combat without a pilot and even refuel in the air. 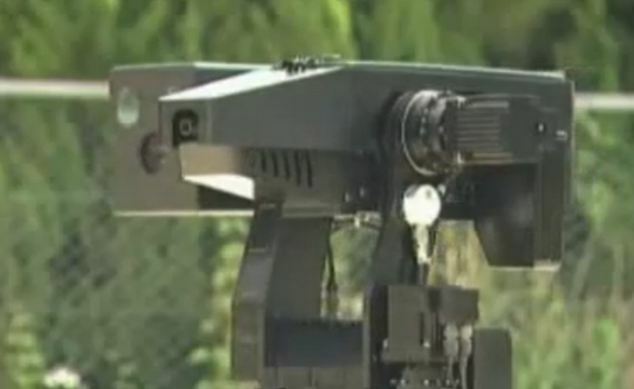 But perhaps closest to the Terminator-type killing machine portrayed in Arnold Schwarzenegger’s action films is a Samsung sentry robot already being used in South Korea. The machine is able to spot unusual activity, challenge intruders and, when authorised by a human controller, open fire. The warnings come from a new report by Human Rights Watch, which insists that such Terminator-style robots are banned before governments start deploying them. US researchers are working on a real-life Robocop who would patrol the streets to combat crime – just like in the film. Injured policemen or soldiers will be wired up to the ‘PatrolBot’ which will effectively give them mechanical limbs that they have lost whilst in service. The plan is to make a basic version of Alex Murphy, the fictional policeman in the 1987 hit Robocop, who is turned into a cyber cop after being nearly killed in the line of duty. The new technology is based on advances in the US military in telerobotics, which is where users are wired up remotely to a robot and given physical feedback to simulate the feeling of being there. The report, dubbed Losing Humanity and co-written by Harvard Law School’s International Human Rights Clinic, raises the alarm over the ethics of the looming technology. Such machines would mean that human soldiers could be spared from dangerous situations, but the downside is that robots would then be left to make highly nuanced decisions on their own, the most fraught being the need to distinguish between civilians and combatants in a war zone. ‘A number of governments, including the United States, are very excited about moving in this direction, very excited about taking the soldier off the battlefield and putting machines on the battlefield and thereby lowering casualties,’ said Steve Goose, arms division director at Human Rights Watch. The problem with handing over decision-making power to even the most sophisticated robots is that there would be no clear way of making anyone answer for the inevitable mistakes, said Noel Sharkey, professor of robotics at University of Sheffield. ‘If a robot goes wrong, who’s accountable? It certainly won’t be the robot,’ he said.